Greek Public Power Corporation has a proprietary communication protocol for wind farms. The PPC WF Slave Driver offers maximum configuration flexibility. 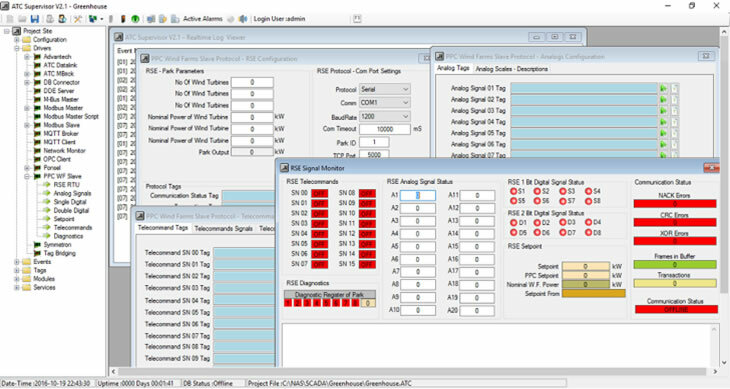 Just assign Tags to analog and digital signals, the telecommand signals and Set-Point signal, declare the minimum and maximum scales and define the serial interface communication parameters. The user has the ability to monitor the configured signals in runtime with signal monitor tool and for troubleshooting cases the serial buffer monitor will help the user to understand what is happening on communications.